The biggest cause of road crashes in South Africa is driver error. It is generally accepted that 85-90% of road crashes can be attributed to driver error. This includes not only the honest mistake or error in judgement but also driver recklessness, driver inattention and many other factors. It is important that we strive both to reduce these errors on our side and adjust our driving to be more attentive and defend ourselves against the threats from errors by other road users. These skills and techniques required are called defensive driving. When driving defensively, we’re aware and ready for whatever happens. We are cautious, yet ready to take action and not put our fate in the hands of other drivers. In this section, we will provide advice on how defensive driving behaviour can make our roads safer. Definition: Defensive driving is the practice of maintaining an awareness of road and weather conditions, other vehicles, road users and potentially hazardous situations and then taking steps to prevent becoming the cause of or becoming involved in a road crash. 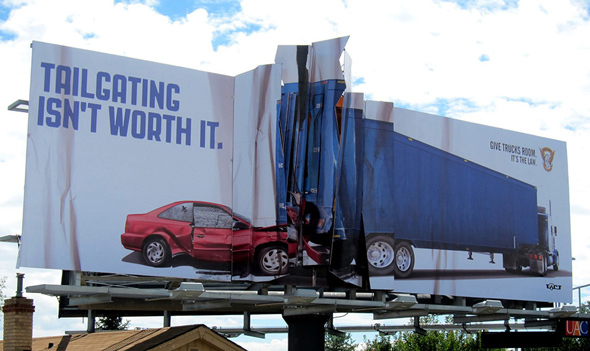 Reducing the risk of collision by anticipating dangerous situations, adverse conditions or the mistakes of others. Implementing driving techniques that enable drivers to address identified hazards in a predictable manner. Driving with an increased awareness of everything happening around you while driving. Driving characterized by prudence, diligence and reasonable cautiousness with the goal of making the road a safe place not only for a defensive driver but also for other road users. Defensive driving is not merely using a set of driving skills when on the road. It starts with preparedness on the side of the driver and an awareness of abilities, challenges, restraints etc. Sometimes the best way to defend oneself against dangers is to avoid confrontation with the danger. The elderly driver who avoids peak hour traffic and the driver avoiding late-night driving are both applying alertness to identified hazards through defensive driving! We have to drive within our ability. Elderly drivers are good at using their experience to compensate for lack of physical strength, reduced eyesight, hearing etc. They drive defensively by adjusting their time of travel and where they drive. The defensive driver will be aware of vehicle capabilities and limitations. This would include going onto the road and towing a trailer, awareness of the ability to overtake etc. 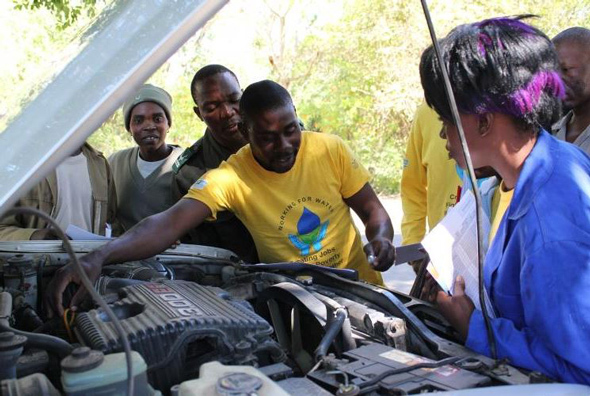 Defensive drivers will ensure that their vehicles are well maintained and in roadworthy condition with properly inflated tyres, clean windshields and wipers, reliable engine and suspension. Vehicles will not be overloaded and vehicle components will allow them an opportunity for effective response to a threat on the road! Defensive driving is also an awareness of when not to drive when to delay travel and when and where to remain stationary inside the vehicle. This is discussed in more detail on the Arrive Alive website in the section on safe driving in bad weather conditions. It is important to stay alert to weather and traffic reports and to avoid the threats posed by heavily congested traffic and conditions such as snow and ice, mist and fog, heavy winds, veld and forest fires etc. By effectively planning the journey and route to the destination the defensive driver is avoiding risks such as driver fatigue, getting lost etc. The driver must always be willing and able to adapt to road conditions. Safe road conditions cannot be assumed and chances should never be taken. When in doubt -Don’t! Even light rain can produce dangerous conditions, particularly early in the season when the water picks up oil from the road surface, making it slippery. Tyres lose their grip at higher speeds, so slowing down in inclement weather is a fundamental defensive-driving technique. The defensive driver will be aware of the rules of the road and rights of way, road signs, road markings, load restrictions, etc. This awareness will also alert and remind him of the many who do not know how to drive at intersections, at roundabouts, in mountain passes, etc. Awareness of accident types and types of injury leads to informed decision making on how to prevent the severity of injury in road crashes. Don't start the engine without securing each passenger in the car, including children and pets. Safety belts save thousands of lives each year. Secure any loose objects inside your vehicle. We need not guard only against our own mistakes but also those of others sharing the roads with us! Defensive driving requires that we share the roads safely with others who might not be as cautious as we are! Continuously look in your mirrors and scan the road ahead, checking for hazards and slowing traffic so you can anticipate problems before they develop. Try to see what is happening in front of the car ahead of you. Follow the flow of traffic. Driving too slow can be dangerous, too. Drive at speeds that most other vehicles are going [within the speed limit, of course.]. Watch out for the other guy. Part of staying in control is being aware of other drivers and road users around you (and what they may suddenly do) so you're less likely to be caught off guard. Do not assume safety from other drivers or make assumptions as to their sobriety, alertness and intentions with regards to safety. Do not assume another driver is going to move out of the way or allow you to merge. Anticipate what another driver might do wrong [worst case scenarios] and make the appropriate adjustment to reduce your risk. Assume that drivers might run through stop signs or red lights and be prepared to react. Defensive drivers approach intersections with caution, regardless of green or red lights. They anticipate light changes, lane changes and vehicles and pedestrians entering from either side, as well as drivers moving off before the light has changed to green. Follow the rules of the road but do not try to “enforce” them by contesting the right of way or trying to race another car, or deliberately driving very slowly to make your point to the driver behind you. Do not depend on other drivers. Be considerate of others but look out for yourself. Be courteous, kind and respectful to other motorists. 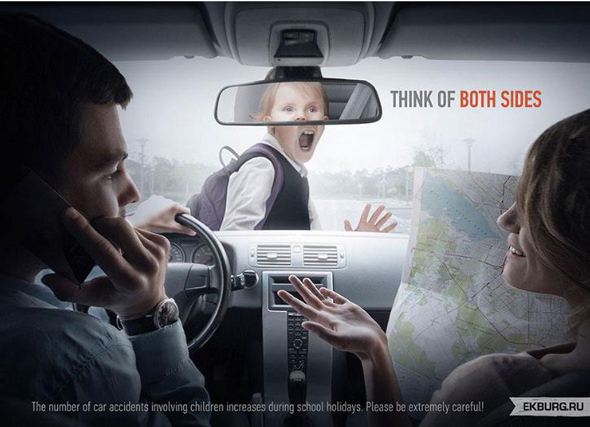 Learn to make eye to eye contact with drivers and pedestrians. That way you know they see you. Be prepared for the unexpected. Also, keep an eye on pedestrians, bicyclists, and pets along the road. Be extra careful where a vehicle has darkly tinted glass and you cannot see whether the drive has noticed your approach, particularly at intersections. The defensive driver will develop a pattern of observation looking ahead, to the rearview mirror, ahead, to a side mirror, ahead, to the other side mirror, ahead, to the dashboard instruments, ahead and so on. At night it is good advice to follow safely behind another vehicle and use their headlights to look well up ahead. As long as the brake lights work on the vehicle in front of you, you will get early warning of trouble. Check your blind spot before changing direction, making lane changes or merging and avoid driving in the blind spot of another driver. Resist getting involved in incidents of road rage. Take a passive approach in dealing with road rage. Sometimes the other driver may have a medical condition that causes unreasonable or uncontrollable anger, and where confrontation can be most dangerous. Tailgaters: If the driver behind you is driving right on your bumper, tap the brakes a few times to let the driver know that he's not maintaining a safe distance. If he stays on your tail, slow down gradually and he will most likely overtake. Avoid making gestures. Speedsters: If you see a car speeding or aggressively changing lanes behind you, stay in your lane while maintaining your speed. Do not hog the fast lane. 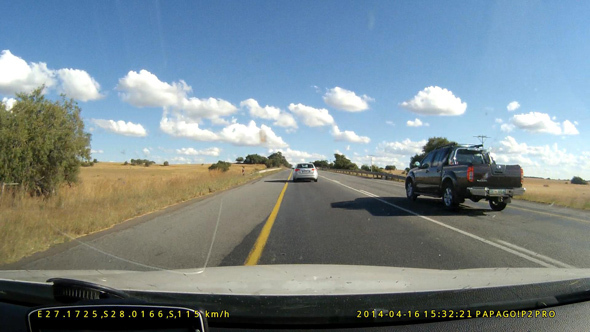 Where appropriate, fall back to allow more space behind the driver ahead of you so that the speedster can safely overtake you and move into that gap without feeling the need to overtake several vehicles at once. Taking evasive measures: If you observe signs of aggressive driving, slow down or pull over to avoid it. If the driver is driving so dangerously that you're worried, try to get off the roadway by turning left or taking the next exit if it's safe to do so. Defensive driving requires thoughtful and informed timely decision making. The driver must be mentally prepared and ready for the journey. Stay focused, keeping both hands on the steering wheel. Defensive drivers concentrate on the road and avoid all driver distractions. Distractions make a driver less able to see potential threats and properly react to them. The defensive driver controls his emotions and is not easily affected by other drivers who may exhibit bad driving behaviour. To remain alert it is important not to drive when fatigued or under the influence. Fatigue, alcohol or drugs (including prescription and over-the-counter drugs) affect a driver's reaction time and judgment. The defensive driver will avoid late night driving where possible or ensure that he takes regular breaks. Use the 2-3 second rule to maintain a safe following distance from the vehicle ahead of you. This should be increased to 4-6 seconds in bad weather conditions, driving at night, on gravel or when towing a trailer. Reduce your speed to the road, traffic and weather conditions. Remember that posted speed limits apply to ideal conditions. To maintain control of your vehicle, you must control your speed to be appropriate for the road, traffic and weather conditions. Maintain a safe constant speed and avoid weaving in and out of lanes. Always have an escape route. Always leave yourself an out - a place to move your vehicle if your immediate path of travel was suddenly blocked. Having an alternate path of travel is essential, so take the position of other vehicles into consideration when determining an alternate path of travel. Do not “overdrive” your headlights at night - too many drivers are driving too fast for the distance in which they can stop. They cannot stop in the distance they can see on dipped beam and end up hitting pedestrians, potholes or tyre casings. Always be ready to adjust your speed so that you can stop in the distance you can see. On the Arrive Alive website and in social media we continuously advise pedestrians “To Be Visible is To Be Seen”. Drive with the headlights on (dipped beam) whenever visibility is not ideal! By law, you must drive with the headlights on between sunset and sunrise and when visibility is not clear for at least 150 metres ahead. Use indicators /turn signals to let other drivers know where you intend going. Operational brake lights are a safety ‘must’. They warn cars behind you that you're slowing down, signalling them to reduce speed, too. Don't linger in areas where the driver in front of you can't see you (i.e. 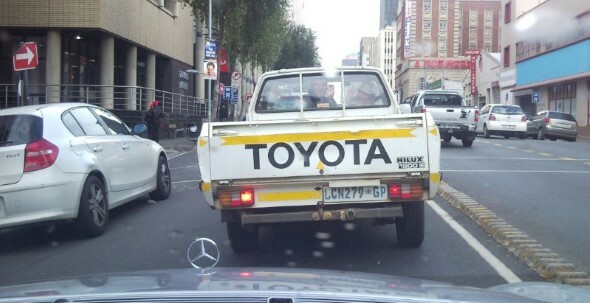 that driver’s ‘blind spots’). Either safely increase speed or slow down to avoid this scenario. Do not sneak up on the heavy vehicle before overtaking - ensure that you can be seen! Overtaking cautiously: Apply "acceleration sense" by leaving some additional following distance behind the vehicle to be overtaken. This enables you to accelerate in this lane to gain speed before moving out to overtake. This makes the overtaking manoeuvre much quicker and safer. Consider power loss when overtaking at altitude and also when overtaking uphill. Remember that a vehicle may lose 15 to17% of power in the thinner air at higher altitude. Avoid sudden movements and lane changes by planning ahead of your turn or off-ramp. Remain alert to quieter more vulnerable road users such as bikes or cyclists who might be lane-splitting. Allow cyclists the recommended 1.5m of space when overtaking them. 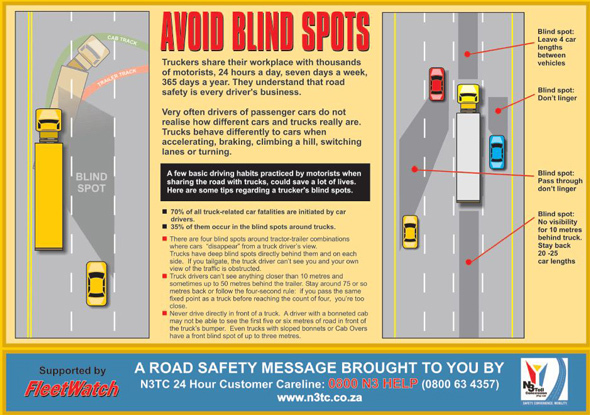 Avoid driving too close to trucks or behind them for prolonged times. Stay alert to the reduced visibility and the risk of debris projected from their tyres. Consider why other vehicles might have come to a standstill. Don’t just speed past- If others are hitting the brakes, then something’s going on, so be alert. Do not make it difficult or impossible for others to overtake - allow them to overtake safely by rather slowing down a bit. Avoid changing lanes in intersections. (a rule of the road). Do not assume perfectly maintained roads. Stay alert to potholes, fallen tree branches, debris etc., especially after storms. Pay attention to warning signs warning of criminal activity in specific areas such as hijacking and smash-and-grab hotspots. We advise drivers to continually improve their driving skills. The better driver is the driver who knows his limitations and strives to improve all the time! Attending defensive driving courses can go a long way towards increased defensive driving awareness and skills. Through defensive driving classes, drivers learn to improve their driving skills by reducing their driving risks, anticipating situations and making safe and well-informed decisions on vehicle handling. Defensive driving courses vary in implementation but mostly contain similar information.  They address the issue of vehicle crashes through careful analysis of the theory and by illustrating how the forces of impact can be avoided or limited with crash prevention techniques. On-road training in a controlled environment and under the supervision of experienced trainers allows drivers to be shown, and to experience, the correct methods for safer driving. We encourage all drivers, especially the younger, less experienced drivers, to improve their driving skills through defensive driver training.